If you’re gearing up to be a cybersecurity pro, you must have Linux skills. Linux Basics for Hackers will quickly get you up to speed. If you’re contemplating a career in cybersecurity and haven’t come up to speed on Linux, now’s the time to get ramped up and here’s one easy way to do it. This new book from No Starch Press was written with people like you in mind. 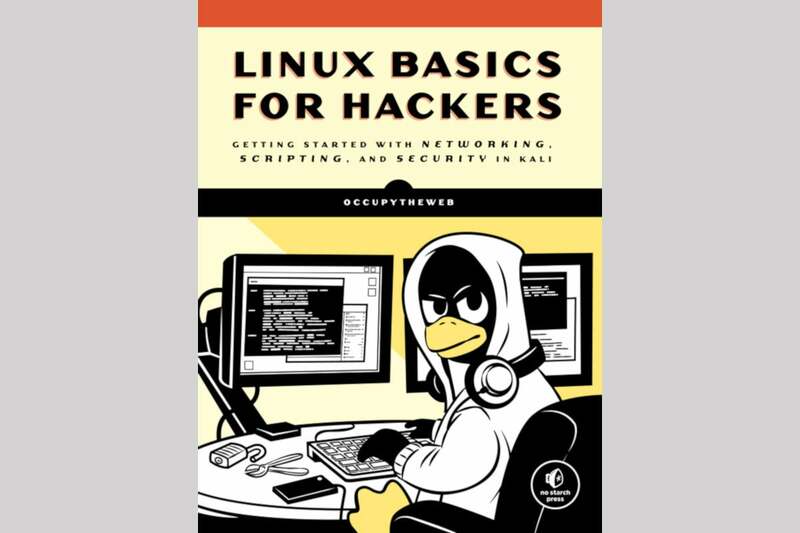 Authored by OccupyTheWeb, Linux Basics for Hackers: Getting Started with Networking, Scripting, and Security in Kali provides everything from basic Linux command-line skills through to scripting, manipulating logging, network scanning, using and abusing system services, and remaining stealthy in the process. Kali Linux is a special Linux distribution that is built for penetration testing and ethical hacking. It’s a derivation of Debian and was designed specifically for digital forensics and penetration testing. The number and variety of tools for information gathering, vulnerability analysis, exploitation, forensics, and more in Kali is quite mind-boggling. Check out this tools listing page, and be sure to scroll down to view all the types of tools available. OccupyTheWeb, the force behind Hackers-Arise, is an information security consultant, as well as a forensic investigator. He has worked with numerous federal and military organizations and is highly skilled. And he wants to help motivated individuals acquire the skills required for this extremely important field. The first thing you should do is install Kali Linux. You will need it to work through the exercises at the end of the chapters. Kali comes with all the tools you will need. The book will walk you through the installation process, as well as what is required to install VirtualBox and then install Kali as a virtual system. As you can see from the table of contents shown below, this book starts with basic command-line commands (pwd, whoami, more and less, head and tail, locate, whereis, etc.). It then covers creating files and directories, managing network settings, installing packages, managing permissions and processes, and setting up the user environment. The book also introduces scripting, using compression tools, managing file systems and devices, and both using and circumventing logging. It provides details on setting up and using Apache, OpenSSH, the Raspberry Spi Pi, and MySQL. The book also helps you understand what is required to work anonymously. The exercises at the end of each chapter are crafted to provide critical insights and to help you to develop the skills needed to become a top-notch security professional. If you’re a seasoned security professional or a Linux sysadmin with a lot of experience, a lot of the material in the book will likely be wasted on you. If you’re just getting started or working your way to expert level, getting a copy of this book might be one of the best things you can do to develop your cybersecurity skills.